This will be the only time these two teams, who are 1-2 in the NBA in scoring, meet this season. 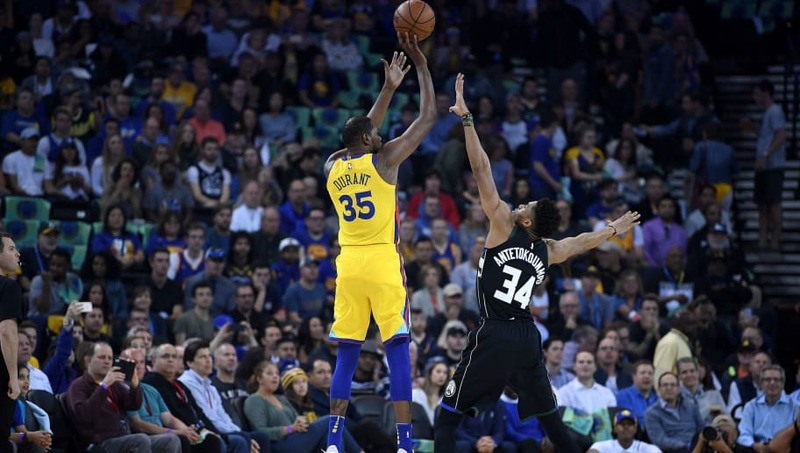 The Bucks won 116-107 in last year's trip to Oracle Arena -- the Warriors, however, were without the services of Stephen Curry and Klay Thompson that night. The Warriors have a 20.3-point average margin of victory against Eastern Conference teams this season. Bucks forward Giannis Antetokounmpo has the NBA's worst 3-point percentage (9.5), going 2-for-21 from behind the arc. The Warriors were 10-2 without Draymond Green last year. Kevin Durant: Over 43.5 Points + Rebounds + Assists (-110) - KD will see about a three percent uptick in usage with Draymond Green out for tonight's game and, of course, more assists and rebounds should be in the works.